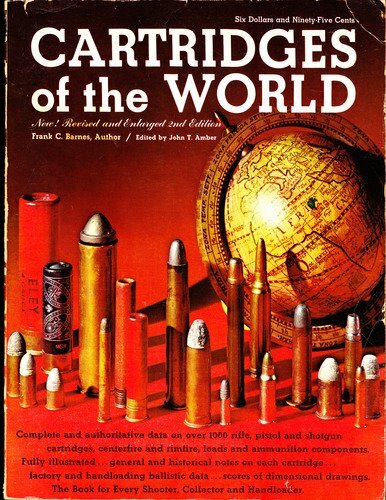 Back in the early seventies I read Frank C Barnes “Cartridges of the World” from cover to cover. It got me started in cartridge collecting, it helped me get started in reloading, and it gave me a solid database of firearms knowledge in one solid dose. It was a fabulous book I finished up not only knowing for example what a 9.5×73 Miller and Greiss was but also gave me the idea of how I could make cartridges should Santa mysteriously pop one into my Christmas stocking one year. Of all the books I bought subsequently this was the one that really laid the foundation of my knowledge base, and this was the book that sparked my interest, an interest that has never left me even decades later. If you are interested in the old, obscure and hard to find this is the book for you. 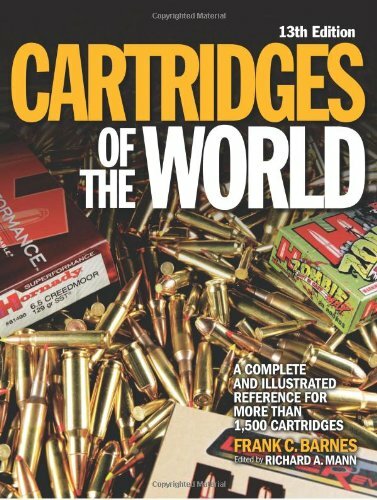 There is a thirteenth edition of “Cartridges of the World” jointly by Frank C Barnes and edited by Richard A Mann. This new version seeks to maintain the old whilst providing good information on the new cartridges that have appeared in recent years. So if you are interested in the latest then this would be the version for you. It seeks to still provide the old data by providing that on a CD that is included with the book. I haven’t had the opportunity to physically look at the new edition or assess the quality of the data on the CD so I can’t comment on that. I also note that the data on the CD is not available in the Kindle edition, though I can’t imagine why there would be such an omission in a book that is intended to serve as both a historical record for collectors and also as an information base for people looking for current data. If you are a beginning shooter then the new edition of this book is something that you are probably going to read from cover to cover and not get bored. If you are interested in the old and hard to find then you will, I suspect, be more happy with the old version. If however, like me, you are interested in everything whether old or new then you might just want to shell out the shekels for both. The 13th edition of Cartridges of the World by Frank C Barnes, edited by Richard A Mann.